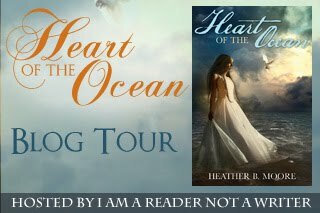 In Heather B. Moore’s enthralling 1840's historical romance, Heart of the Ocean, Eliza Robinson has turned down the very pretentious Mr. Thomas Beesley's marriage proposal. As a business partner of Eliza's father, Thomas quickly discredits the family and brings disgrace to the Robinson name. 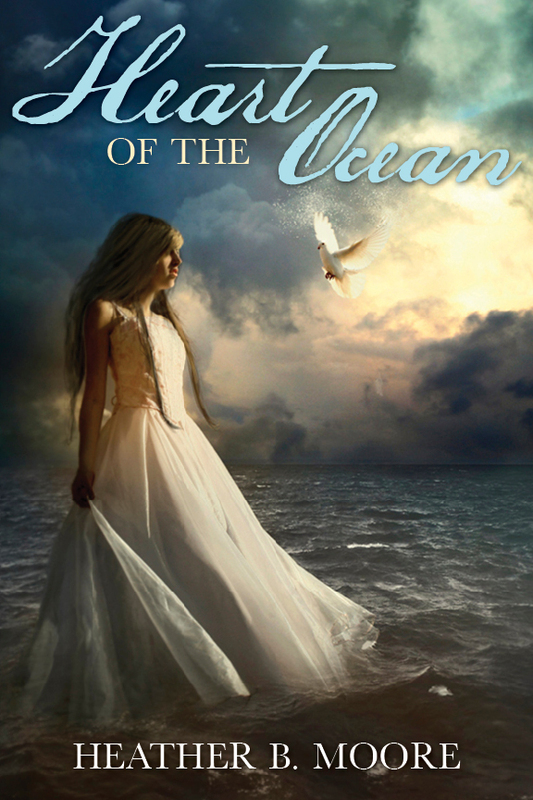 While her father scrambles to restore his good name in New York City, Eliza flees to the remote Puritan town of Maybrook to stay with her Aunt Maeve. Although relieved to be away from all-things-male and unforgiving gossip columns, odd things start to happen to Eliza, and she is plagued by a ghostly voice. Her aunt's explanation? That Eliza is being haunted by a woman who died of a broken heart twenty years ago. After Aunt Maeve is tragically killed, Eliza's life is put in danger as she tries to uncover the mystery of her aunt's death. She encounters Jonathan Porter in Maybrook, whose presence in the town seems suspicious, yet she finds herself drawn to him. When she discovers that Jonathan's dark secrets may be the link between the dead woman who haunts her and her aunt’s murderer, Eliza realizes that Jonathan is the one man she should never trust. Eliza stared through the dark iron bars. The cold cellar was damp, with water dripping from the ceiling in a rhythmic fashion. This crude jail is no place for a woman, she imagined her father saying. She pulled the cloak given to her by Ruth around her shoulders. Shivering, she thought of how last night she was snuggled in her warm bed; tonight she was surrounded by concrete walls. A low curse from the next cell reached her ears. It had to be Jonny. When she arrived at the jail, she'd been led past his barred cell, feeling his eyes watching her. The constable already arrested Jonny before going to Ruth’s place. Eliza let out a breath, gathering her courage. "Are you all right?" she called. She tried again. Maybe he hadn't heard. "Are you ill?" "I'm in jail," he said with a scoff. His deep voice seemed to fill the small space with an echo. Eliza bit her lip. It was her fault he was here. "I'm sorry." He spoke again. "Did you kill her?" She drew a breath in sharply. "No." How could he accuse her? Because she lived with her aunt? How did he arrive so fast at the cottage—how had he known to come? Suspicion knotted inside her. "Why were you riding by the cottage in such a storm?"